Upon your arrival you will enjoy of “Plaza de las Estrellas” (Stars Plaza) where you will find a theater as main point. Then continue to “Plaza del Arcoiris” (Rainbow Plaza), the Castle is the central image of the square. In it you will find two kiosks where you can enjoy a variety of snacks. Around the castle you can enjoy restaurants, kiosks, souvenir shop, photographic shop, arcade games and 14 electromagnetic games for children. 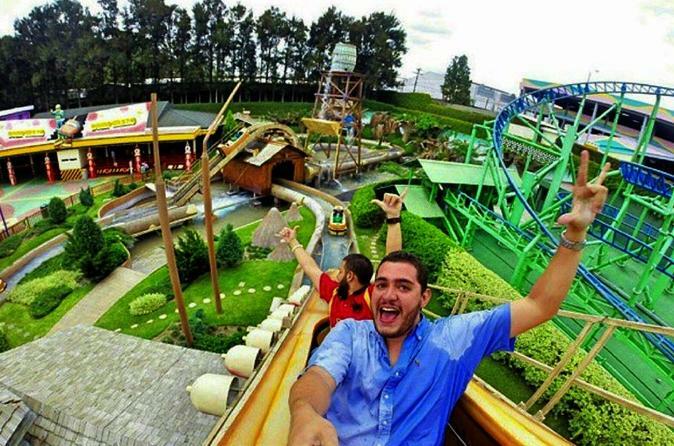 In Fun Plaza you'll find lots of fun and pure adrenaline. Nine large electromagnetic games are the main attraction. To reach this place, the Skyscraper will guide you, a free fall tower seen from anywhere in the park. 53 meters of pure adrenaline. Enjoy with your unlimited pass to all this games (At own expenses). Enjoy of the zoo “La Jungla” an environment full of vegetation and the presence of national Wildlife. The zoo has a collection consists of 60 different species of birds, 24 species of mammals and 11 species of reptiles.